* These chapter names do not appear in the book. I have formulated them myself. 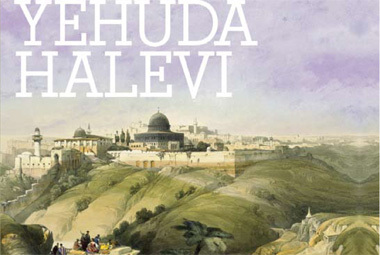 This chapter chronicles Yehdua Halevi’s youthful years, and also provides historical backdrop for his life-story. Halkin labels the era in which Halevi lived as a “Poetic Age,” characterized by “the widespread use of poetry in ordinary life as a medium of communication and social exchange.” In class we will discuss which aspects of this cultural milieu might be described as “Jewish” and which are characteristic of the wider Muslim cultural world in which the Jews lived. Like the previous chapter, this one also focuses on the relationship between those aspects of the Jews’ cultural life that were particularly Jewish, and those that belonged to the wider social and cultural world to which the Jews belonged. The final section of this chapter, (which begins on p.36 and which Halkin identifies as a worthwhile “digression”) does not directly relate to Yehuda Halevi’s biography. Instead, it focuses on disagreements between Hasdai ibn Shaprut (Statesman in the court of the Caliph and Andalusian Jewry’s political leader) Menahem ben Saruk (Hasdai’s secretary) and Dunash ben Labrat (Court poet). In the war of words waged between these men, grammatical minutia and choices about syllabic stress encompass worlds of significance. Should the rules used for Arabic poetry by transposed onto Hebrew poetry? Or should the Hebrew poet remain faithful to more traditional grammatical forms? Religious integrity, identity, and authenticity all rest on these critical questions. A few things to think about as read this chapter (1) How do the Jews' experiences fit into the the geo-political struggles between Christians and Muslims? (2) The chapter ends with a discussion about Jewish messianic stirrings, which are linked to political change and instability. We will revisit this theme later in the semester.